Sold in more than 180 countries, ESET has global headquarters in Bratislava, Slovakia, with distribution headquarters for the Americas located in San Diego, California. ESET also has offices in Buenos Aires, Prague, Krakow and Singapore and is represented by an extensive global partner network. For more information, visit our home or business pages or call 1800-209-1999. ESET Smart Security is a tightly integrated security solution that users can trust to keep their computers safe. Built on the award-winning ESET NOD32 Antivirus and its powerful ThreatSense engine, ESET Smart Security also provides antispyware, antispam and customized firewall features. Utilizing ThreatSense - the industry's most advanced heuristics - the window of vulnerability between virus outbreak and signature update is reduced. ESET Smart Security detects and disables viruses, trojans, worms, adware, spyware, phishing, rootkits and other Internet threats you may encounter online. It provides comprehensive, proactive protection with minimal impact on computer performance. 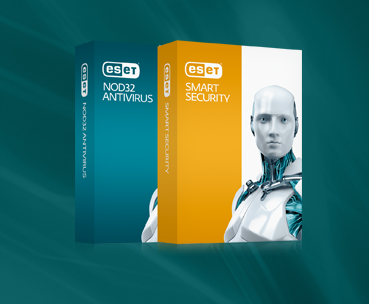 Built on the award-winning ThreatSense® engine, ESET NOD32 Antivirus is a tightly integrated security solution that users can trust to protect their computers. ESET NOD32 Antivirus detects and disables viruses, trojans, worms, adware, spyware, phishing, rootkits and other Internet threats. ESET NOD32 Antivirus comprehensive and proactive maximum protection has only a minimal impact on a computer's system. Users will not experience a slowdown when running the program. After a quick and easy installation, ESET NOD32 Antivirus runs quietly in the background, freeing users to enjoy a safe and protected computer experience. Your Mac is safe, so why is it important to make it safer? Not only do online dangers threaten your computer, but your Apple device can also become a carrier of malware that spreads to your friends and family. ESET Cybersecurity is designed to be smart and clean, just like your Mac. Powered by the advanced ThreatSense® scanning engine, ESET Cybersecurity features proactive protection, an intuitive user interface, and solutions that run seamlessly in the background.